The Nexus 5 received so much pre-announcement speculation and attention that its success was pretty much guaranteed before it even hit the shelves. The Google initiated and LG-manufactured device has managed to pretty much cement itself as the hottest smartphone on the market at the minute, and immediately after its launch, people started to see shortages in stock. If you’re waiting for delivery of your unit, or just couldn’t get your hands on one then why not get your hands on the official Nexus 5 wallpapers from Android 4.4 KitKat right now? As with any new major release of any mobile operating system it usually isn’t long before some technological explorer delves as deep into the code-base as possible and yanks out some goodness to share with the world. We’ve seen it most recently when Apple’s iOS 7 beta started to get distributed and developers dove in to the internals to find references to biometric tinged code. Now that Android KitKat – or 4.4 if you feel uneasy with the official name – is out and about, those inquisitive tinkerers have delved into the unknown and arose from the chocolate deliciousness with the official Nexus 5 4.4 wallpaper set. We have to concede that taking a wallpaper set and applying it to any old Android device isn’t exactly the same as running the Nexus 5, or Android 4.4 for that matter. Google has clearly been hard at work improving Android for the latest release as well as working in conjunction with LG to provide the best possible flagship device to showcase KitKat. To imply that the whole experience could be summed up through a gorgeous wallpaper set would be doing them an injustice of huge proportions. However, if the vivid Nexus 5 wallpaper sets are available then it would be unjust not to test drive them on a different device. 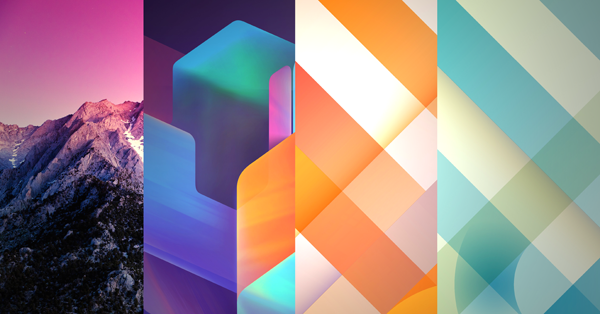 The Nexus 5 wallpapers should definitely bring a little bit of additional life to any device that they are applied to. The vivid colors, varying shapes and contrast in styles means that there should be something for all tastes and all devices. Get downloading them right now from the link below, then rush out and get your hands on the fantastic Nexus 5. 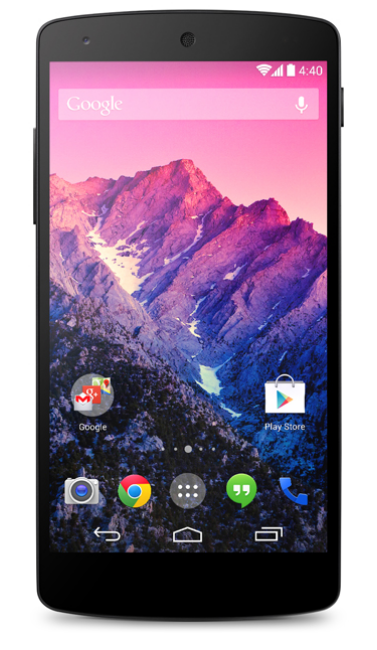 Download Android 4.4 KitKat wallpapers from Nexus 5 from here.